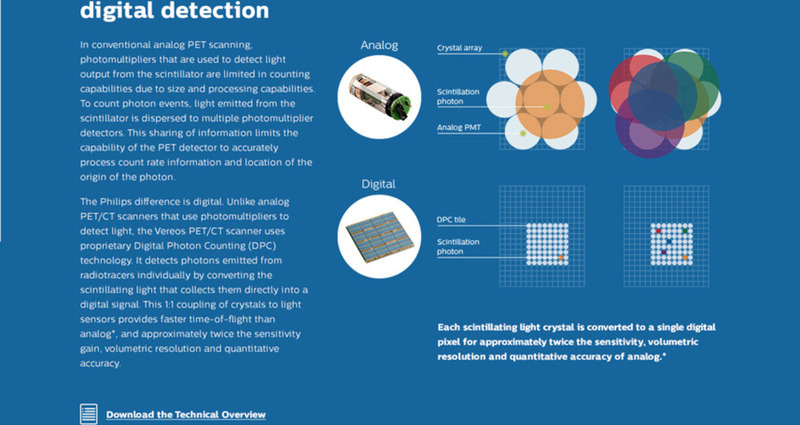 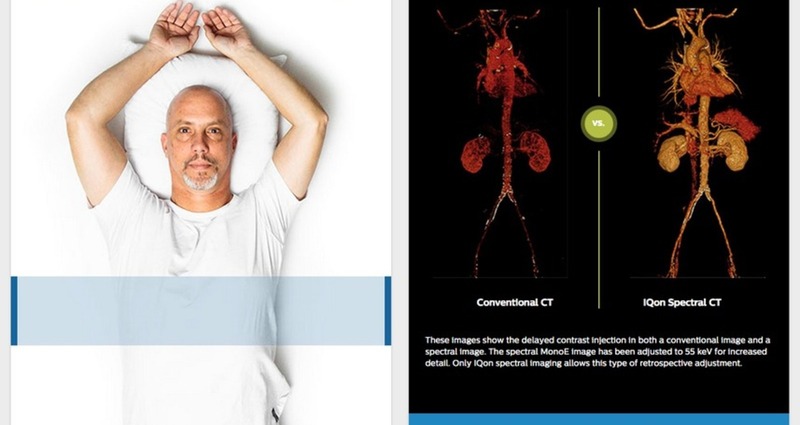 The CT Spectral experience is an interactive storytelling experience for doctors, clinicians and scientists to explore a CT Spectral scanner, from Philips Healthcare. 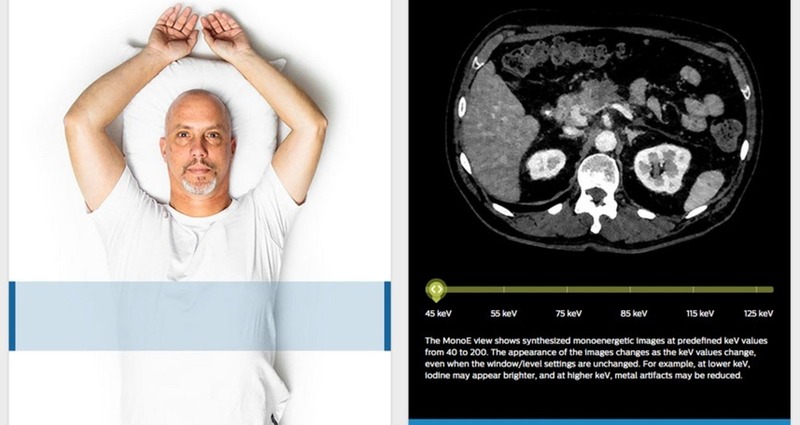 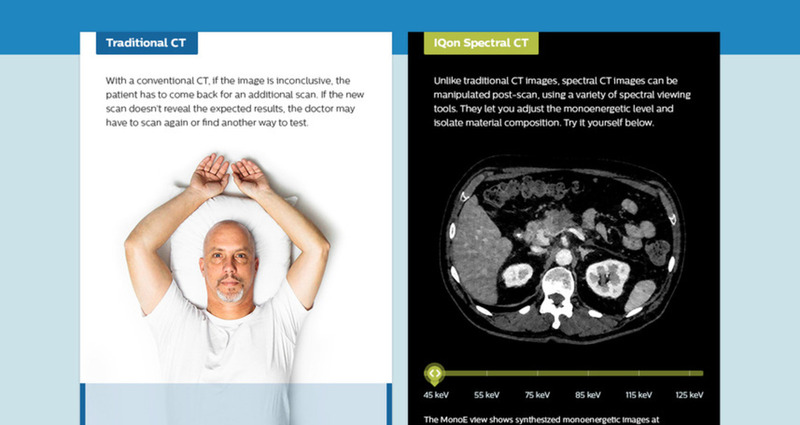 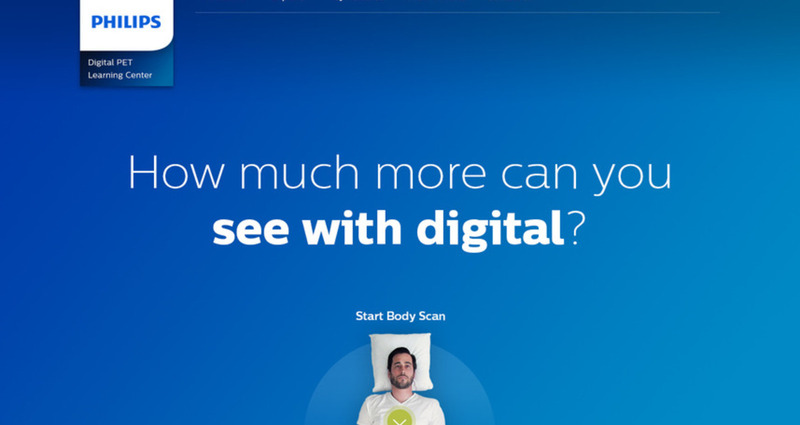 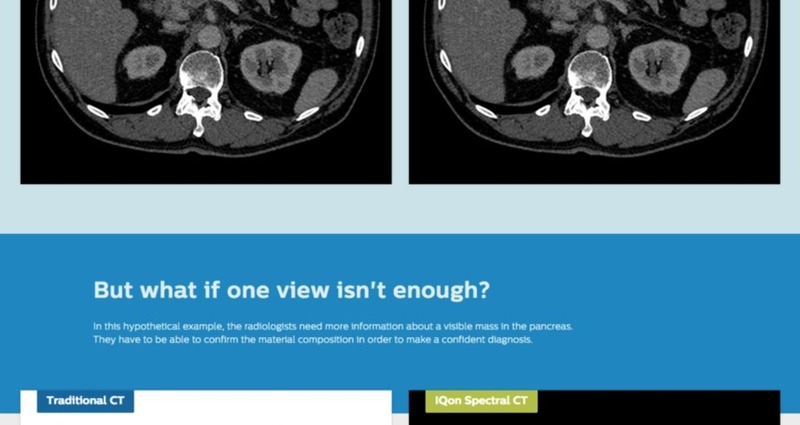 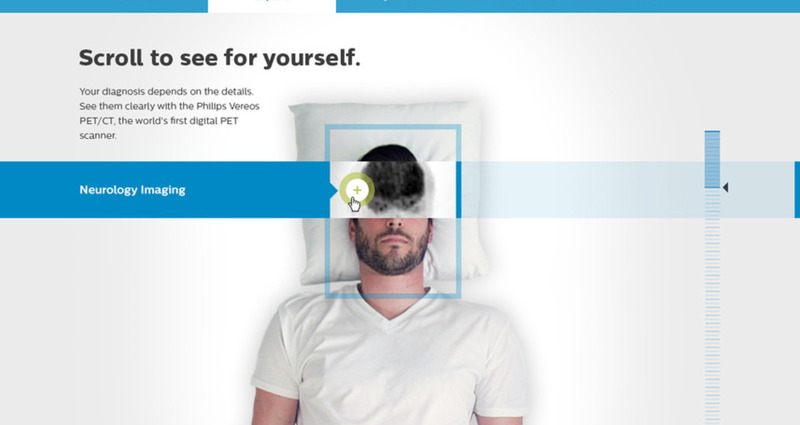 This responsive designed experience hooks or challenges the user to see the spectral difference and prompts them to scroll and learn as they virtually scan two men’s bodies to see the difference of an abdominal scan using CT Spectral scanning against a similar abdominal scan using conventional scanning methodologies. 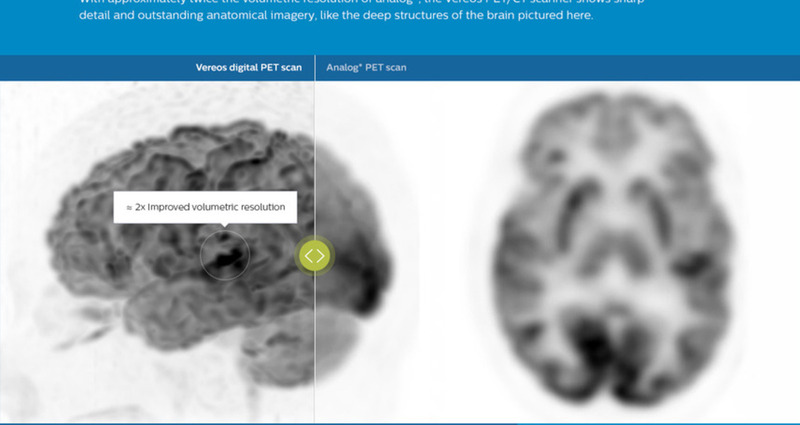 The Digital PET digital experience is a quick, compelling and simple, interactive storytelling experience for doctors, clinicians and scientists to explore the world’s first digital PET scan, from Philips Healthcare. 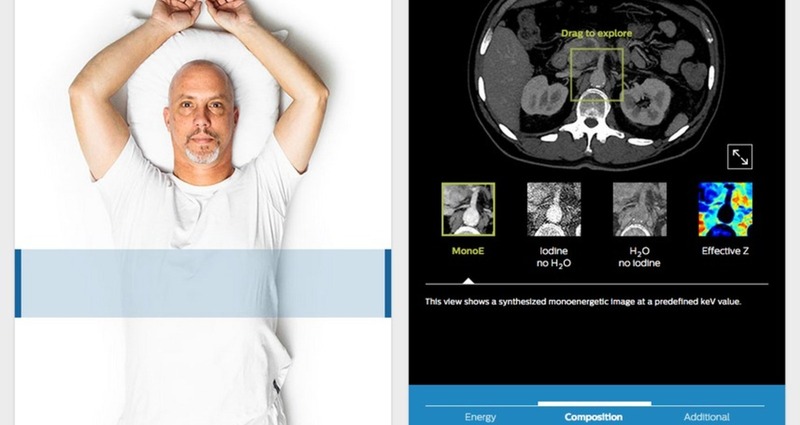 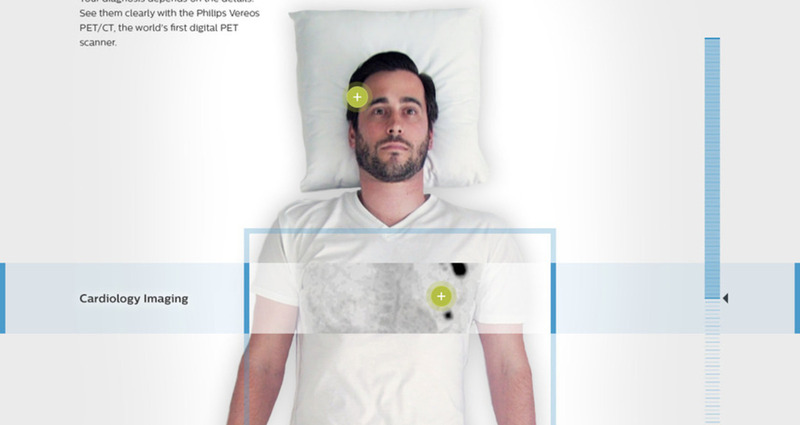 This responsive design experience hooks the user and prompts them to scroll and learn as they virtually ‘scan the man’ (video and photography) and learn about this new innovation in healthcare tech.